October. That was the last blog post. Ugh! I am the worst at keeping a blog! It has been a super crazy few months. Brooke, one of my main helpers with online stuff, left to be closer to her home and little girl, we started working on kits, website redesign and , oh yeah, holiday madness. It’s now finally starting to calm down – feels nice to be able to do this. 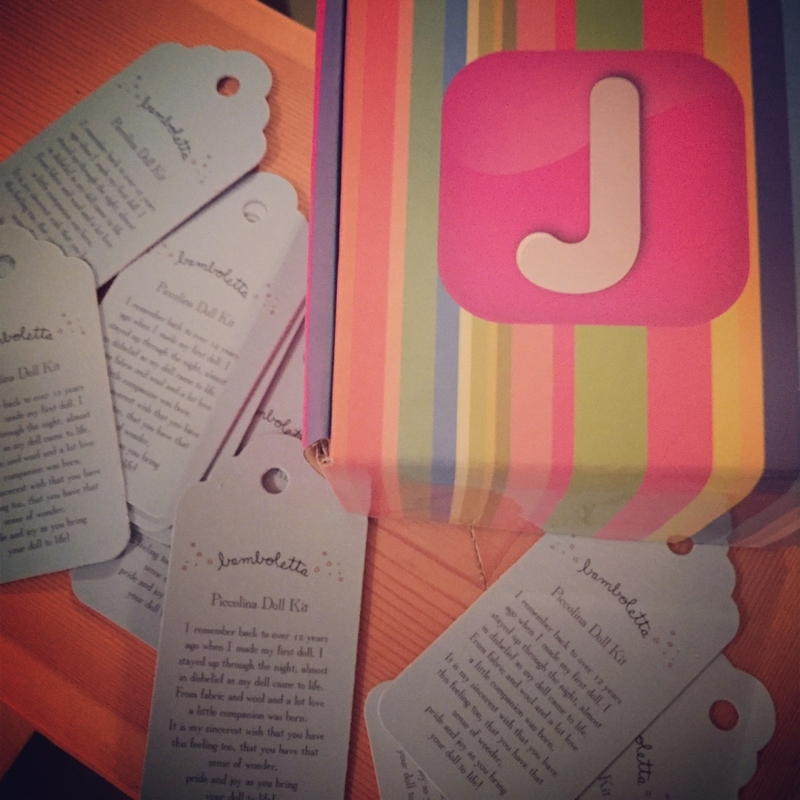 Blog, say ‘hello’ and let you know what’s going on. So, first off. KITS. Yes, doll making kits. Our Piccolinas are uber popular when we do markets and at our studio store, thing is, we only make a few and it doesn’t make sense for us to sell them online. It’s a cost thing – it’s an incredible cost to sell things online the way I do, individual listings, pictures, shipping. 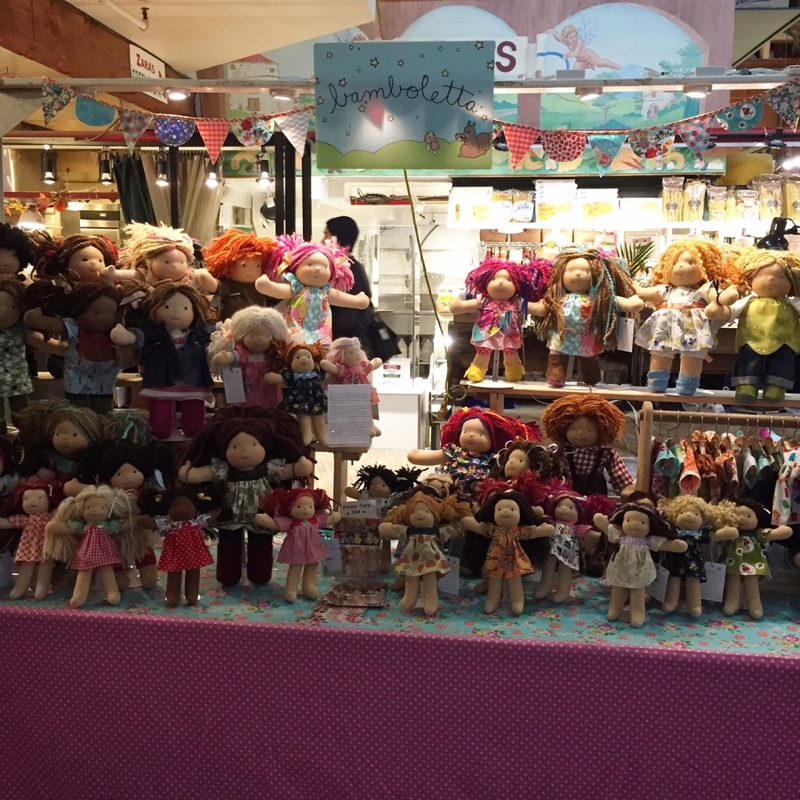 Anyhow, we’ve just kept them at markets so we can have a smaller doll under the $100 range. We’ve done a few Piccolina Workshops over at the studio and they have been so much fun. 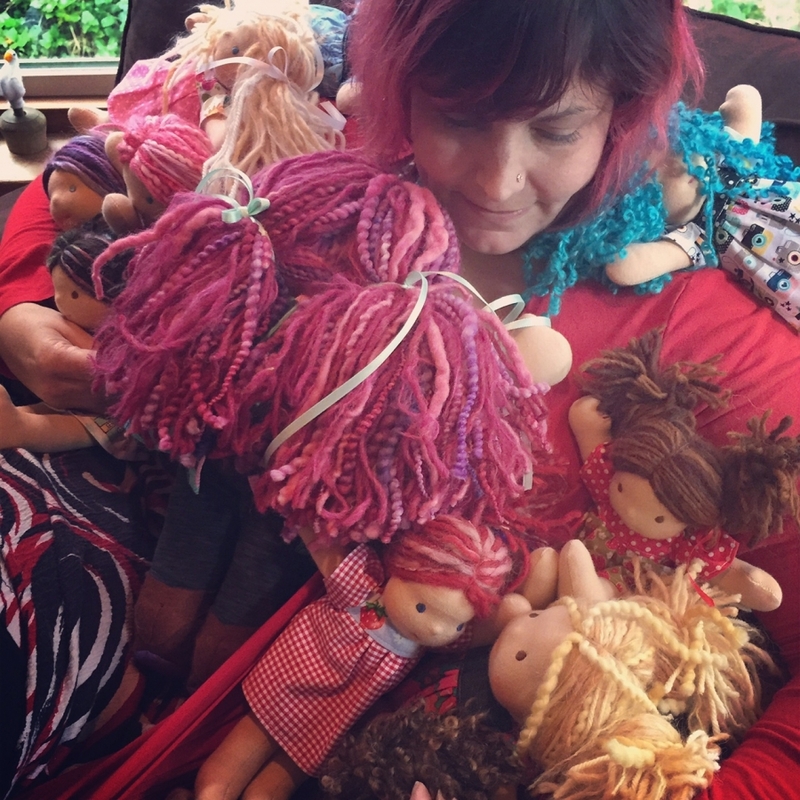 I feel like I will burst with excitement as I watched people make their dolls – it’s a feeling reminiscent of when I made my first doll. The uncertainty of how it would turn out and who would appear out of the pieces and bits of wool and cotton and yarn. So I decided to make the Piccolinas available via a kit. We got all the instructions together and have been working with the super talented, and hilarious, Karen Page at One Girl Circus so that my instructions are clear and nicely illustrated. Seriously, if I tried doing that it would be a hot mess! I can teach people to sew dolls but to do it via instructions – oye. A few more weeks and tweaks and we should have the kits available soon. Now, these kits are geared towards my friends – I have an audience in mind. Crafty, but not too crafty. The body will be made for you and partially stuffed, as will the head. It will come with a dress and underpants. 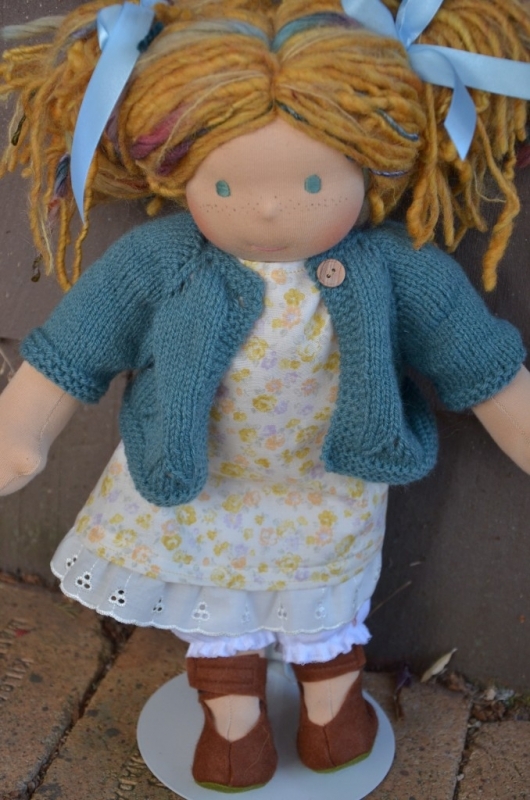 You assemble the doll, sew on the eyes, put on the hair and voila – you have a doll. We will be releasing a doll clothing pattern pack soon (for the piccolina) for you crafty folk that want to make a wardrobe. I’m going to set up a Facebook Page that you can join and we’ll have some tutorials and where you can share your creations. Gah! I am so excited about this! Love getting stuff like this ready! Hang tags for the kits ..
Karen having a ‘Bamboletta Moment’ after telling me she just wasn’t really into dolls. Ha! I see this love happen all the time. Karen and I met at The Makers Retreat last fall. Second, Granville Island. It was a bit hit and miss last year with timing. John, who usually went for us, was working at the kids school and it was too hard for me to get over all the time. We are planning on making it over every six weeks or so this year. 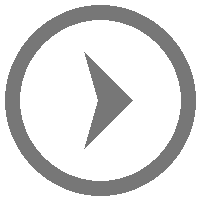 Brandi is going to go over to set up and then I’ll join her after I get all the upload stuff and payroll done – so on Friday. We will be there this week Thursday – Sunday. Bring us macaroons (Mak-a-RON – a fancy lady told me) and we will love you forever. We have 24 Piccolina’s coming with us this time .. it’s going to be a cute fest! Third, THANK YOU ALL for loving the dolls and continuing to support Bamboletta. I’ve had this new peak of love for Bamboletta .. it never wanes, it just builds and builds, but the past few months it’s just been so amazing creating the dolls. We have such a fantastic group of women working with us and the dolls are filled with so much love and care. None of this would be possible without you all – thank you so much! As always you are the masters of the doll world. It always makes me smile whenever you post something on Facebook. My visit to BC and the shop/studio will always remain special in my heart. Love you all!! 28,000 Likes Giveaway over on Facebook! I have a super cute giveaway going on over on Facebook that I thought I’d mention on here as well, in case you didn’t see it. It goes until tomorrow morning – so not much time to enter. 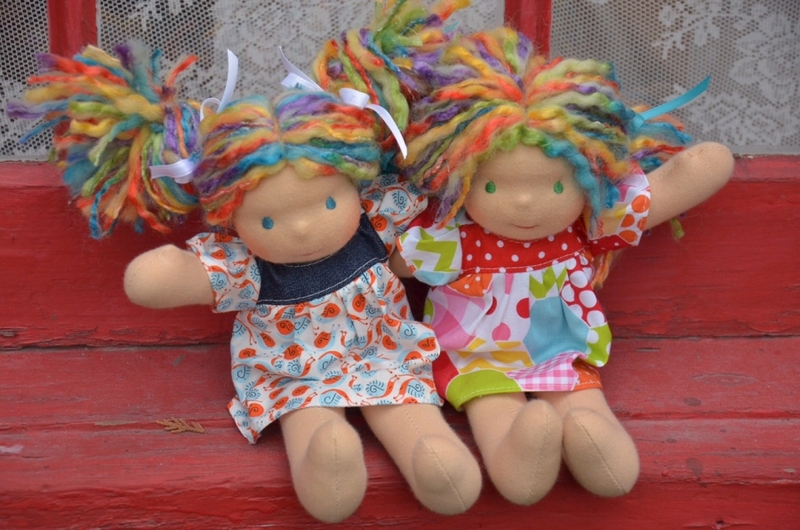 The giveaway is for two adorable Piccolina dolls, with the intention being one for you and one for a friend. To enter, head on over to our Facebook page! Good luck! Why are there no dolls of color in your collections? I am a new fan sent from Copy-Kids, Thank you for the giveaway. I love sitting friend Emily. Your dolls are wonderful. i love the sweaters your mother makes for the dolls. Can I get a pattern for them. What size doll do they fit. I just love your dolls. Each has its own personality. Thank you so much for sharing them on Facebook. I did a Doll Type Blog post about a year or so ago but, since then, we have added in a few more doll types. We’ve been asked what the difference is between them all so I thought I’d explain. This was the first style of doll I made over 10 years ago! This body type is based on traditional German dollmaking patterns (which is what the Waldorf Dolls are based on). The body is sewn with cotton for it’s ‘skin’ (which comes in all the way from the Netherlands – specially milled for dollmaking) and then the doll is stuffed with wool. It’s luscious hair is made with wool, mohair and alpaca yarns and can be styled in many different ways (here’s our YouTube channel for hair styling ideas) The doll is stuffed quite firmly and the limbs don’t ‘bend’ at first, over time the arms and legs loosen up so the doll can eventually sit but she’ll always be ‘hug ready’! She stands 15 inches tall and is good for 3 and up but this age range is debatable. Some wee kids LOVE the big dolls, the heft of it can be very comforting. 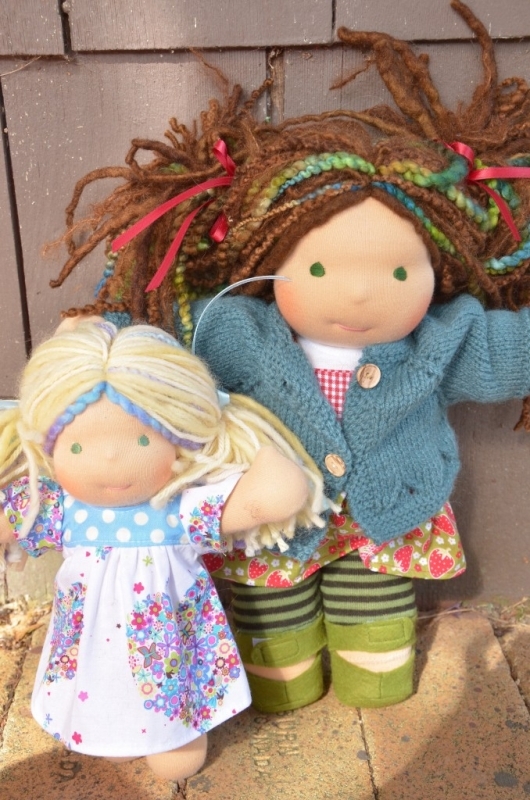 These dolls take us about 10 – 12 hours to make. They come with underpants, a super cute outfit and shoes. They cost $240 – $260 (depending on extra’s in hair or outfit). So, this is a teenier version of the Classic Doll measuring about 10″ tall. Made with all natural materials and all that good stuff. 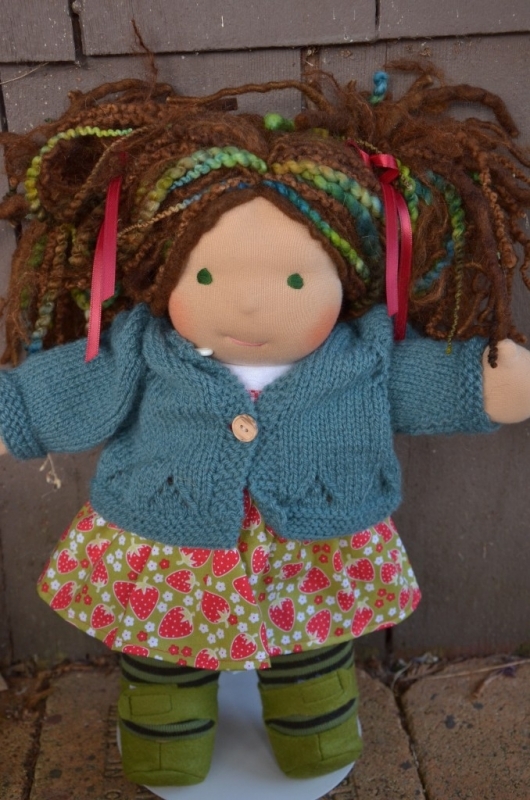 This is a traditional Waldorf style doll with the body shape – arms outstretched for lots of hugs. 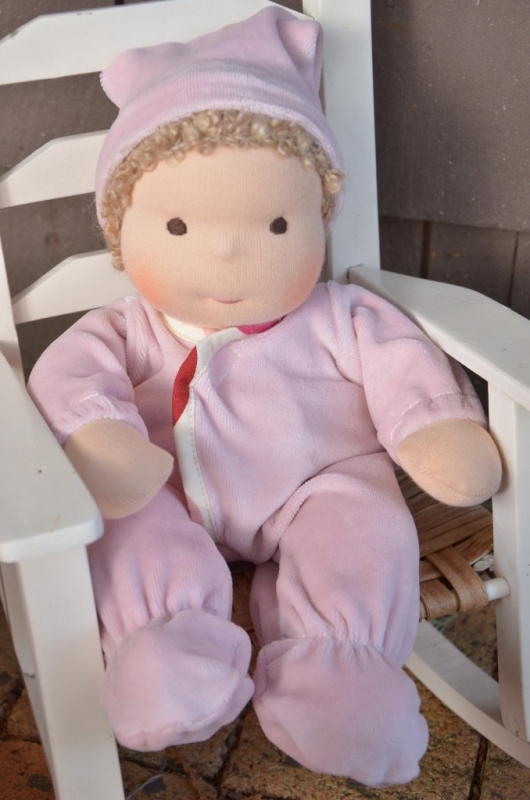 This doll seems to be good for little ones, ages 1.5 – 2 ish, or for kids that love little things! These dolls take us about 6 hours to do from start to finish. They come with a simple outfit and underpants but no shoes. They cost $130. 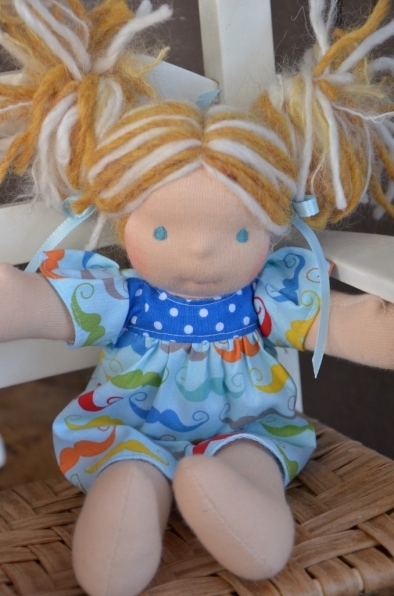 This doll was created for children (and their moms) that wanted a softer, more bendable doll. They measure 15″ tall (and fit the Classic Doll clothing). We developed this pattern to have movable limbs, it’s perfect for tea parties. These dolls also have very cute feet (unlike our Classic and Little Buddy dolls who have the rounded foot). This doll would be good for ages 3 and up, but, again, it’s a personal preference for the child. Like the other dolls, the skin is made with that fantastic cotton ‘skin’ and stuffed with wool. Did you know that wool is absolutely amazing for children? It’s naturally antibacterial, warms to the touch and absorbs scent so the doll smells like ‘home’. These dolls take us between 10 – 12 hours to create. They come with underpants, a super cute outfit and shoes. They cost $240 – $260 depending on the outfit and hair. 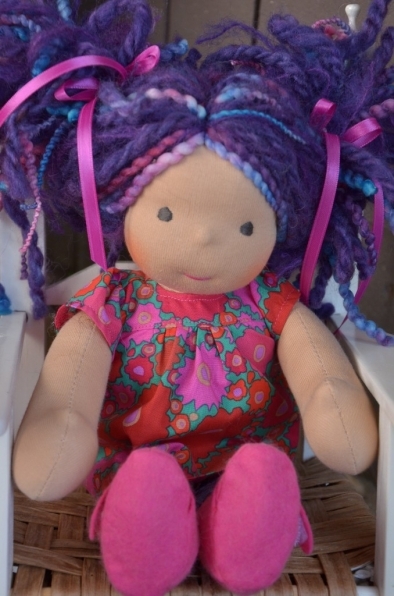 This doll was inspired by our seamstress Nicki’s childhood doll Pippi. We loved Pippi because of her size and her long-ish floppy legs. So, we made a Bamboletta version. She’s a bit like a small version of our Sitting Doll but there are some differences. 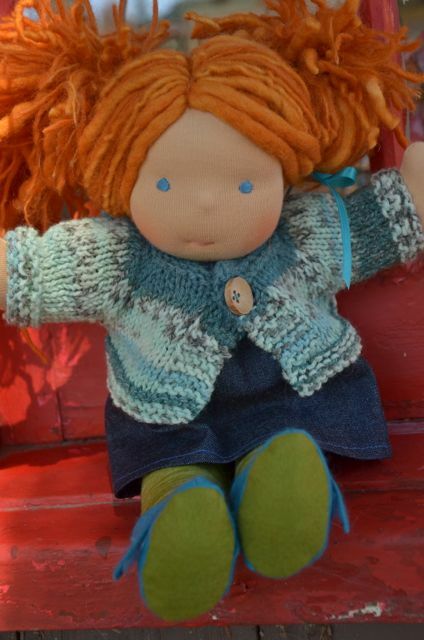 She stands 13″ tall, is ‘thinner’ then our regular dolls and has longer legs with feet! She is made with the same materials as all the other dolls. I think ages 2 and up would be good ,but, again, totally subjective. This doll takes about 7 – 8 hours to make. She comes with an outfit (2 piece), underpants and crocheted or felt shoes. They cost $155. Ah, the Folk Dolls. These are my personal favorite. We wanted a taller doll and I sort of made this doll to be like an homage to dolls of my past. More traditional in the clothing, hand knit sweaters and dimpled ankles, knees and elbows. The arms on these are differnent as they hang down as opposed to outstretched like the rest of the dolls. Their limbs are very moveable and they are so nice to pick up. These dolls are 18″ tall . The more I am around them the more I think they are like an adult’s doll. Not that little ones can’t play with them, but these seem to have something about them that makes me think this. 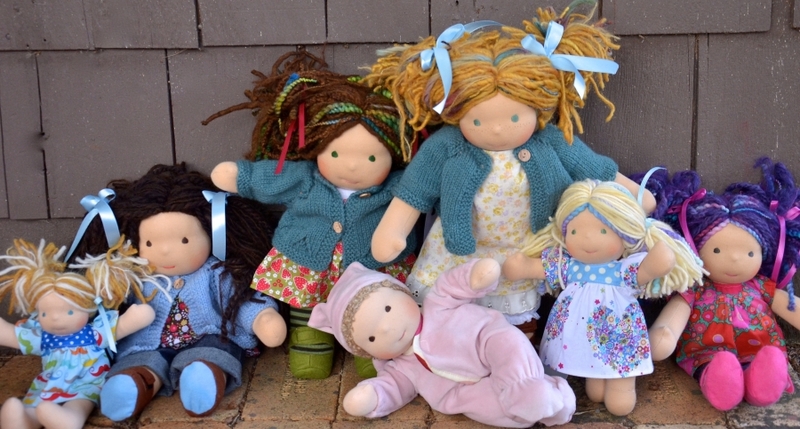 They are made with the same goodness and care as our other dolls and take about 12 hours to make. Ages 3 and up. $295. You can’t help but sigh a little when you pick up one of these dolls. They are SO sweet, from the curve of their little backside to the sweet little cap of hair – love through and through. Made with all natural materials these dolls are very slightly weighted with Rose Quartz pebbles. I chose this because of the calming properties this stone is said to have. The dolls have a little cap of hair, a diaper, sleeper, hat and sweet little swaddling blanket to cuddle with. Ages 1.5 and up. So, there they all are! I hope this has been helpful to you. One thing I do recommend for people with small children is that they tie the long hair back or braid it until the child is ready to play ‘hairdresser’. It’s made with natural materials and some shedding is to be expected but this will stop as the yarns age a bit and will ‘felt up’ a little. It’s kind of like natural hair when it’s freshly washed and is all fluffy, it takes a bit of time for your hair to calm down. 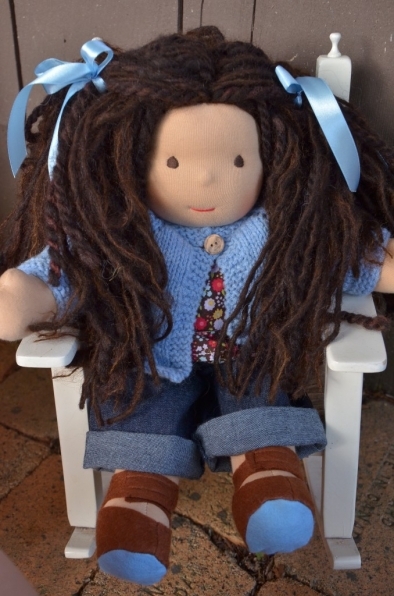 Natural dolls have a feel of their own and will age with your child and hopefully will be passed along to their child! I feel VERY strongly about using natural materials hence the price point (as well as the labour put in between all of us sewing mama’s!). If you are interested in learning more about the philosophy and use of natural materials, I wrote a blog post here about it. © 2019 Bamboletta Blog|ProPhoto Blog Template by NetRivet, Inc.